Does Your Parity Affect Your Cost Of Acquisition On Google? 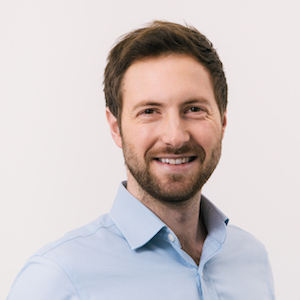 Does price parity affect your cost of acquisition through Google? This article comes from one of Triptease's Direct Booking Coaches. Get in touch to find out how the Direct Booking Coaches can help your hotel. Most hotels have long since accepted the crucial importance of price parity to the success of their business. Its impact on website conversion rate is well-documented. But while many understand the connection between poor parity and reduced direct bookings, fewer are thinking beyond that scenario to its other harmful effects. When was the last time you considered whether your parity was having an impact on your Google Ad spend? A long-term partner of Triptease recently approached us with a theory they wanted us to investigate. 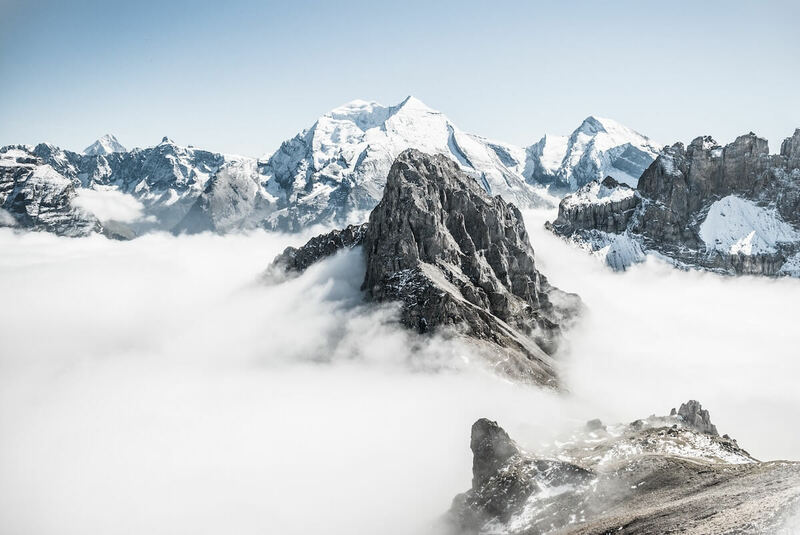 This large hotel group wanted to know whether it was costing them relatively more to acquire bookings on Google for their hotels with low parity than for their in-parity properties. Assuming that many guests are comparative shoppers for whom price comparison will be second nature when booking a trip, it follows that out-of-parity hotels are far less likely to win a booking direct even if the guest discovers them via a Google Hotel Ad. In that scenario, the group pays money for the click and also for the OTA commission that follows. So, if the impact of poor parity is significant in this situation, why would a Marketing Director spend precious budget on an expensive channel that is unlikely to result in direct bookings and in fact raises the cost of OTA bookings overall? In order for us to investigate, the hotel group provided us with their annual Google Ads spend on named hotels; cost-per-click (CPC) per hotel; cost-per-booking (CPB) per hotel and return on investment (ROI) per hotel. 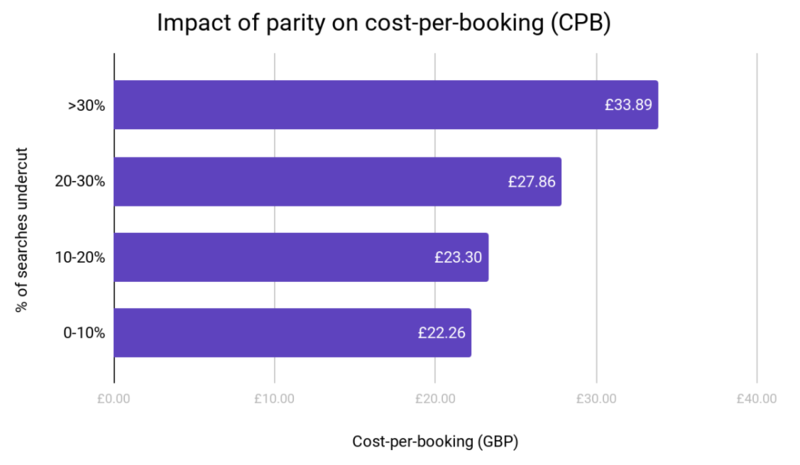 In this chart we can see the average cost-per-booking for hotels in four different parity brackets. There is a clear correlation between price undercut rate and cost-per-booking. Hotels at this group with an undercut rate over 30% generate bookings at a higher cost than those hotels with better-managed parity. For this group, the gap between cost-per-booking at hotels with the best parity compared to those with the worst is £11.63. Under the assumption that parity is the main influence on cost of acquisition from Google, Triptease calculated that if this hotel group managed to reduce all of its higher-than-average undercut rates down in line with its average, 10% of its spend on Google Ads would be saved. For a large hotel group such as this one, that equates to a significant sum. Of course, other elements affect the cost-per-booking of a hotel. Location, reviews and Average Daily Rate (ADR) all play a role. Taking ADR as the most influential, we also calculated cost-per-booking as a percentage of ADR to normalize the price of the hotel. 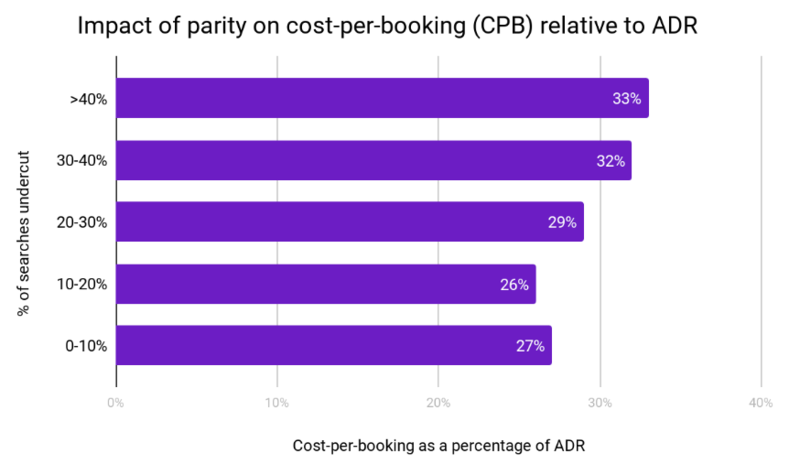 Hotels with their prices undercut over 40% of the time are paying the equivalent of a third of their ADR for every booking acquired via Google Ads. There's a clear correlation between good parity and a lower cost-per-booking for hotels advertising on Google Ads. These findings add weight to the already convincing argument for hotels investing their time and effort into getting parity under control. Triptease's Guest Acquisition solution combines real-time parity data with potential guest value to make smart metasearch bids and win every hotel's most valuable guests. Find out more and request a demo here. Looking for a parity solution? Triptease's platform tracks your price parity every single time a potential guest runs a search. Monitor your parity and get discrepancies fixed with full screenshots and supporting evidence to take to OTAs. Find out more here. Interested in hearing more from Triptease's coaches? Get to know us better here.